Hello friends! Thanks for visiting me again today. 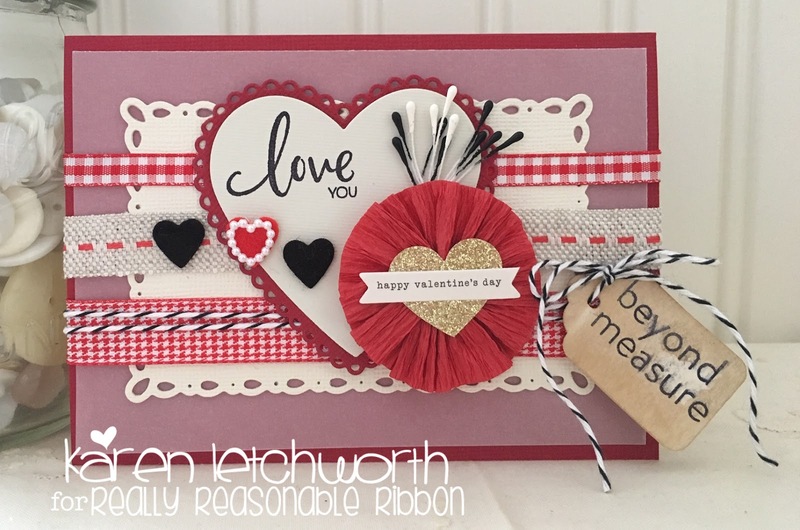 This is a card I created for Really Reasonable Ribbon, and I always have making cards that include their wonderful products. I love the warmth and texture that ribbons, twines, trims and laces give our cards. Not to mention all the other wonderful things found at Really Reasonable Ribbon. I started with a red cardstock base and added a layer of vellum. Next, I cut a cream backdrop using a decorative rectangular Spellbinders die. Next, I ran a width of Red Center-Stitch Burlap Trim across my card as well as a width of Red & White Plaid Houndstooth and 3/8" Red & White Gingham. 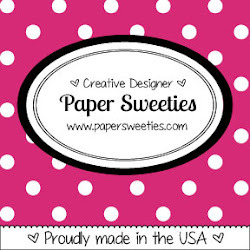 I wound a long length of Black Licorice Baker's Twine around my card and tied on a grungy tag with it. The tag is stamped with a PTI sentiment (beyond measure), and the die-cut center hearts are also PTI. 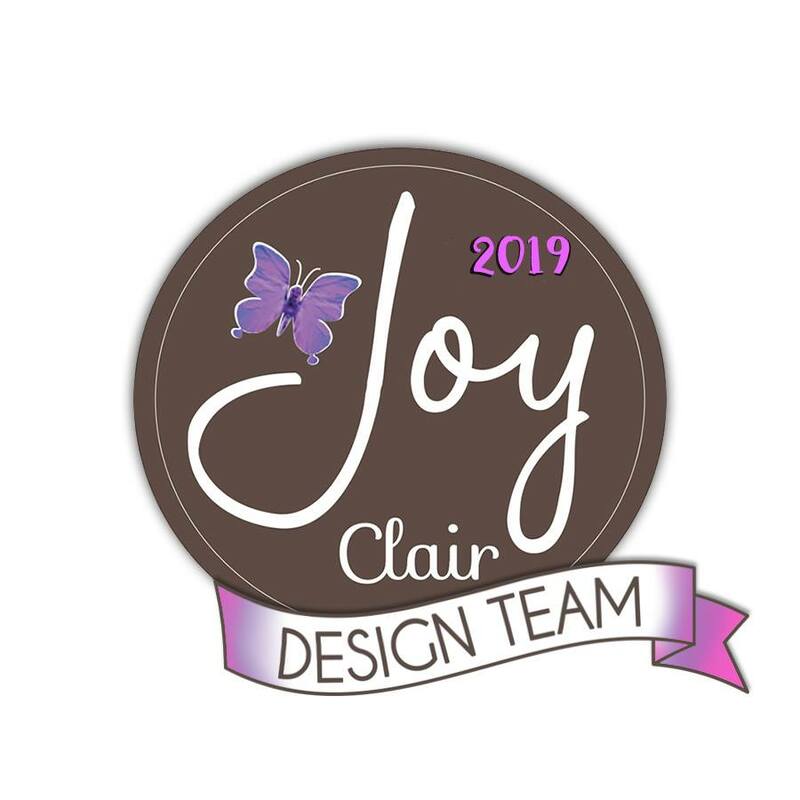 The stamped sentiment (love you) is from Stamp Simply Clear Stamps. 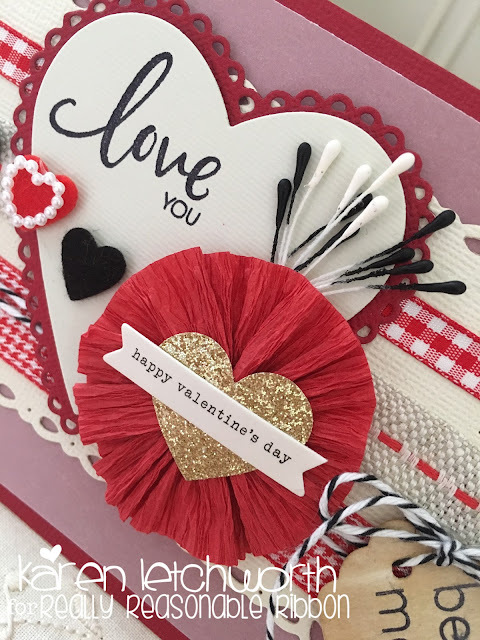 The 3-D medallion (Happy Valentine's Day) is from Crate Paper. Thanks for visiting, and don't forget to stop by each day for more inspiration and to find out about special sales and promotions. 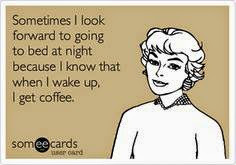 We also have our fabulous monthly Blog Hop coming up in just a few days, so be sure to visit again soon. 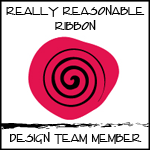 There's always something wonderful at Really Reasonable Ribbon. 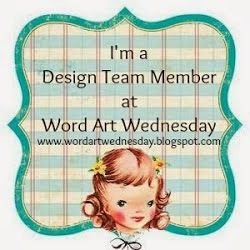 Speaking of which.....don't forget to join us this Wednesday, the 13th, for our BLOG HOP. So Pretty! Love the different ribbons! 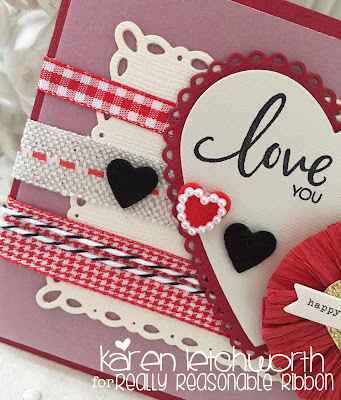 Oh what a gorgeous card Karen - love the trims you have used, and that vellum layer is really eye catching!